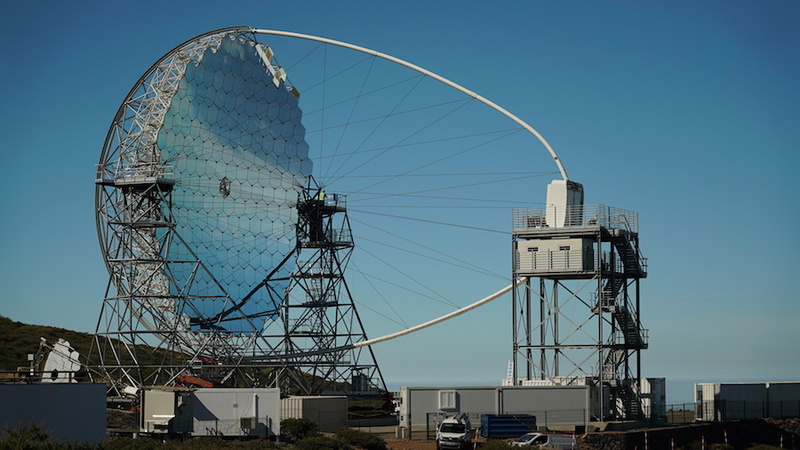 On the canary island of La Palma, the first gamma-ray telescope on a site of the future Cherenkov Telescope Array (CTA) Observatory has been inaugurated. More than 200 guests from around the world gathered for the event on Wednesday. 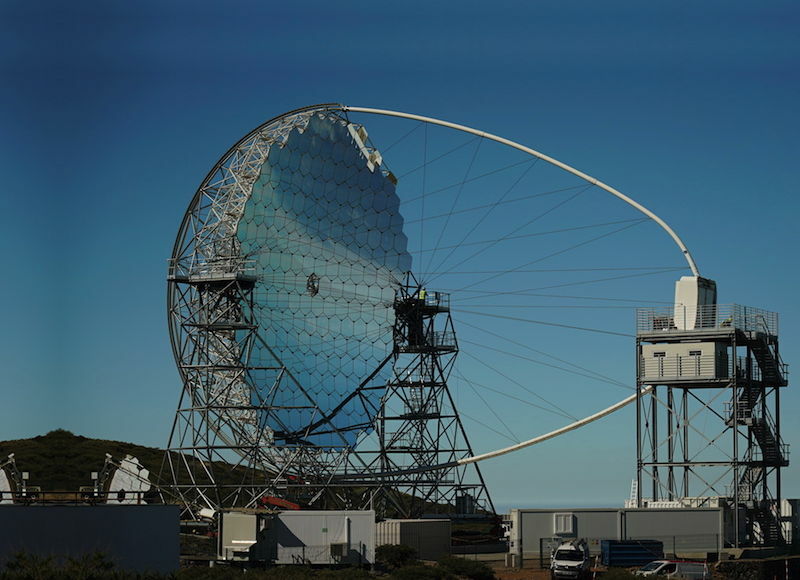 The telescope, tagged LST-1, is intended to become the first of four Large-Sized Telescopes (LST) on the northern site of the CTA Observatory, which is located on the existing site of the Instituto de Astrofisica de Canarias’ (IAC’s) Observatorio del Roque de los Muchachos at La Palma. The plan for the site also includes 15 Medium-Sized Telescopes (MST). 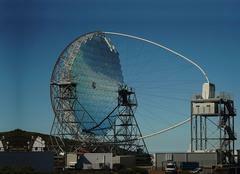 CTA will be the foremost global observatory for very high-energy gamma rays coming from the cosmos. These are messengers from the most violent processes in the universe: colliding neutron stars, gigantic cosmic particle accelerators, the remains of exploded stars and many more. The observatory is planned to have 120 dedicated telescopes of three different sizes. These will be installed at two locations, one in the northern hemisphere at La Palma, and one in the southern hemisphere near the existing European Southern Observatory site at Mount Paranal in Chile. More than 1400 scientists and engineers from 31 countries are engaged in the scientific and technical development of CTA. DESY, the largest German partner in the CTA consortium, is responsible for the Medium-Sized Telescopes (MST) and will be hosting the CTA Science Data Management Centre at its Zeuthen site. The laying of the first stone for LST-1 took place on 9 October 2015. After the telescope foundation was finished in January 2017, and the LST-1 structure was completed in February 2018, the camera was finally installed on 25 September 2018. The LST team consists of more than 200 scientists from ten countries that shared the design and management leadership in this truly international effort. In addition to the LST, two other classes of telescope are required to cover CTA’s full energy range from 20 gigaelectronvolt (GeV) to 300 teraelectronvolt (TeV): Medium-Sized Telescopes and Small-Sized Telescopes. The CTA telescopes measure cosmic gamma rays via the Cherenkov light they produce when they penetrate Earth&apos;s atmosphere. Because gamma rays with low energies around 20 GeV produce a small amount of Cherenkov light, telescopes with large mirrors are required for this energy range. 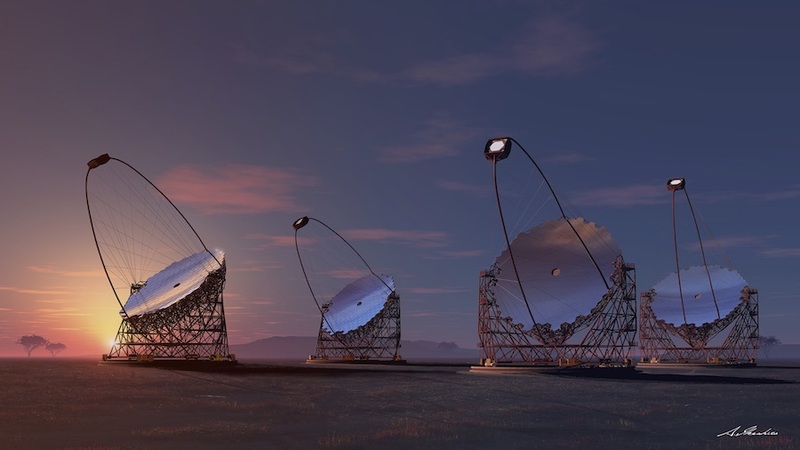 Four LSTs will be arranged at the centre of both the northern and the southern hemisphere arrays of the observatory to cover the low-energy sensitivity of CTA between 20 and 150 GeV. The LST has a 23-metre diameter parabolic reflective surface, which is supported by a tubular structure made of reinforced carbon fibre and steel tubes. A reflective surface of 400 m2 collects and focuses the Cherenkov light into the camera, where photomultiplier tubes convert the light in electrical signals that can be processed by dedicated electronics. Although the LST-1 stands 45 metres tall and weighs around 100 tonnes, it is extremely nimble, with the ability to re-position within 20 seconds to capture brief, low-energy gamma-ray signals. The prototype is first telescope on a CTA site to be operated by the CTA Observatory.